The map location for this Historic Site of Manitoba is UNKNOWN. If you know its location, please contact us at webmaster@mhs.mb.ca. Known as the Peguis School District when it was established in June 1907, with a one-room schoolhouse situated on Lot 86 in the Parish of St. Peter, in 1939 the school board constructed a second building in the southern part of the district, on Lot 53. It was named in memory of Margaret Janet Hayworth (1929-1939), a 10-year-old Canadian schoolgirl from Hamilton, Ontario. She became Canada’s first casualty of the Second World War when she died at sea on 9 September 1939 aboard the American freighter City of Flint, from a concussion and pneumonia incurred during the torpedoing of the ocean liner SS Athenia on 3 September 1939. Her funeral was marked with flags half-masted across Canada. Among the teachers who worked at Margaret Hayworth school from 1939 to 1955, when it was a single-room facility, were Edith E. Kerr (1939-1940), Ethel Edwards (1940-1941), Myrtle Harrison (1941-1943), Louise Jones (1943-1944), A. C. Darge (1944-1945), A. Cockran (1945-1946), B. Grafton (1945-1946), Vida M. McKay (1946-1947), Gerald Lionel Kuran (1947-1949), A. I. Morrison (1949-1950), John Martens (1950-1951), Mrs. W. Harriott (1951-1952), V. Recksiedler (1952-1953), Janet Smith (1953-1954, 1955-1959), and Mary A. Purvis (1954-1955). A second classroom was added in the spring of 1959 and teachers from 1959 to 1969 were Marion Morrison (1959-1960), Joan Johnson (1960-1961), Grace Wakeman (1960-1961), Elizabeth Neskar (1960-1964), Myrtle Barnett (1961-1969), Miss Audrey Zieroth (1964-1965), Velma Oakes (1965-1967), Ian Barron (1967-1968), and Christine Lotz (1968-1969). 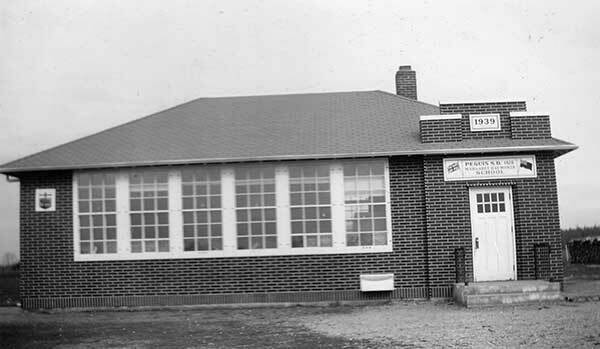 In 1967, the school became part of the Lord Selkirk School Division and it closed two years later. The structure was sold, remodeled for use as residence, and destroyed by fire in 1975. GR8461, A0233, C131-2, page 115. “Athenia survivors now being rushed to their homes,” Winnipeg Free Press, 14 September 1939, page 12. “Tribute penned to memory of little torpedoing victim,” Winnipeg Free Press, 14 September 1939, page 3. “Survivors,” Winnipeg Free Press, 13 September 1939, page 4. “Canada mourns for little girl,” Winnipeg Free Press, 16 September 1939, page 32. Commonwealth War Graves Commission, Margaret Janet Hayworth. “Tenders,” Winnipeg Free Press, 9 May 1970, page 39.